Our ENT Team Shares the Touching Moments — Canvasback Missions, Inc. 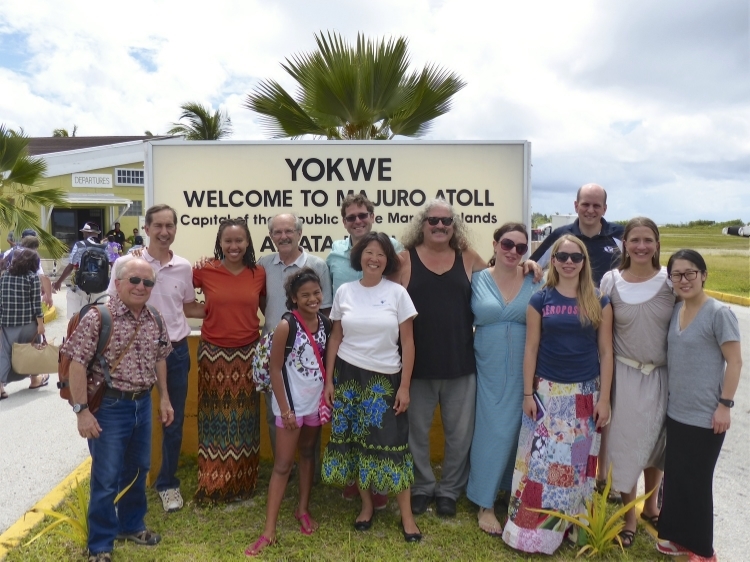 The Canvasback ENT team arrives in Majuro after two days of travel. The easiest times to succumb to our emotions are those when we're exhausted. When the world teams up against you and you're already burned out. You know those days: your coffee is burnt, you cut yourself shaving, your lip balm falls into the black hole between the driver's seat and center console, and you spill some lunch—which you weren't really in the mood for to begin with—onto the shirt you picked up from dry cleaning yesterday. Canvasback missions tend to run you through a similar fatigue. 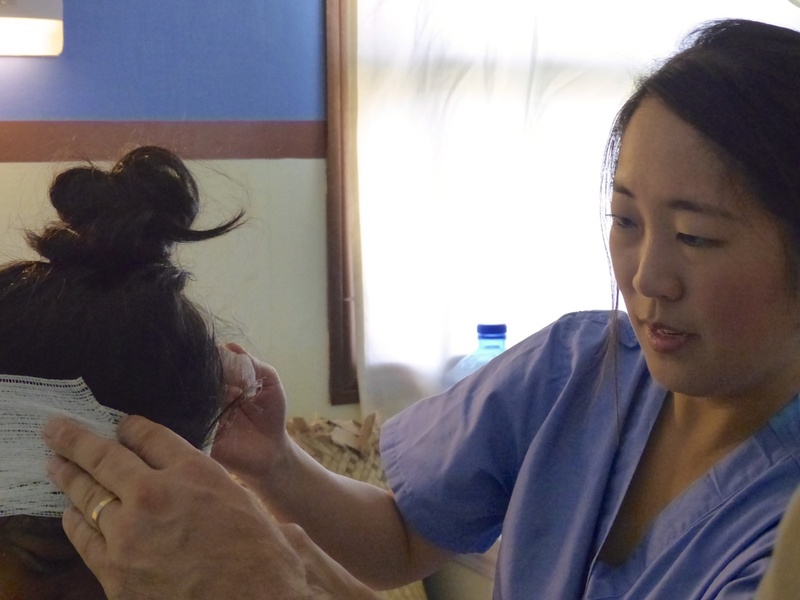 Our volunteers confront the unique challenges of living and working in a different country: jet lag, sleeping in an unfamiliar room, working in high humidity, and 7-hour surgeries requiring nonstop standing and unwavering concentration. Oh, and eating vegan food for breakfast and lunch. Each of these may be easily handled alone, but when stacked on top of one another become a taxing trial of will and strength. It is no surprise, then, that our teams sometimes become emotional on their missions. But they don't complain. Instead of succumbing to exhaustion and self-pity, they are touched: by the places they go, by the work they do, and—most importantly—by the people they get to know. The volunteers on our ear, nose, and throat (ENT) mission to Majuro were no different; one after another, they recounted stories and feelings to me, eschewing the hardships experienced to gush about the people they met. For example, team audiologist Rodney Thompson, Au.D spoke of the privilege of distributing hearing aids to patients who have suffered hearing loss for years. Hearing aids aren't available in the Marshalls, so Dr. Thompson was, in essence, restoring an entire physical sense to people. It's a sense that equips patients to handle the practical aspects of day-to-day living. It's a sense that makes one appreciate the weight of a quick "thank you" or "I love you." 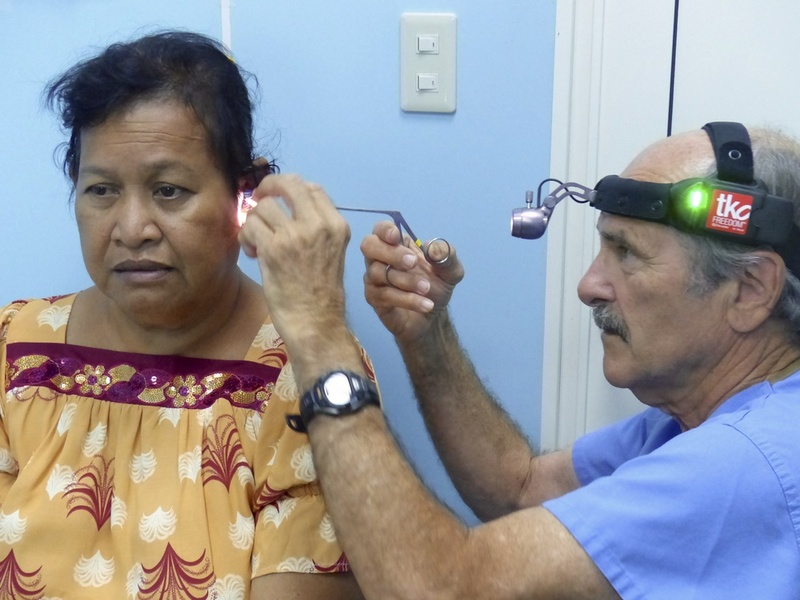 Dr. Thompson tests a boy's hearing at Majuro Hospital. 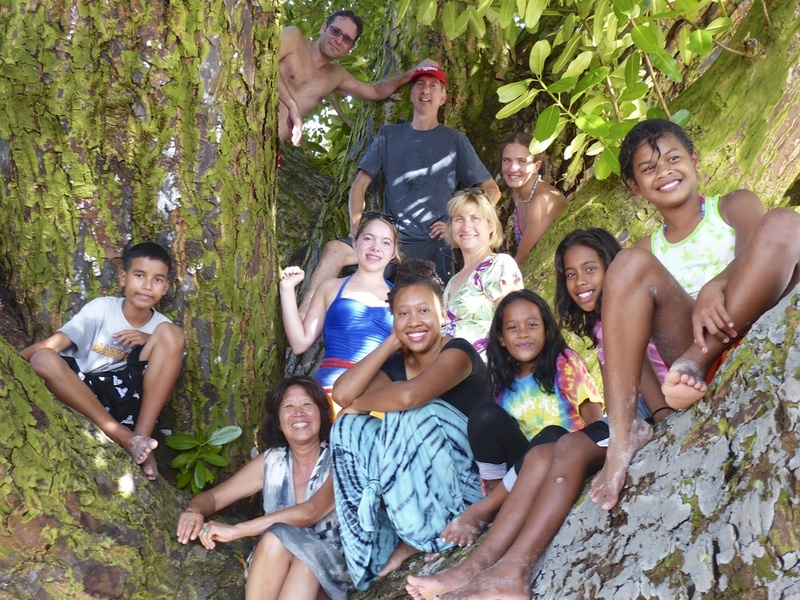 Dr. Thompson served with Canvasback's ENT team in Yap, Federated States of Micronesia in 2000. He also served as a Latter-day Saints missionary in the Marshall Islands many years ago. "I speak Marshallese and love the Marshallese people, and I feel compelled to continue to serve and help the people of the Marshall Islands. They have a very special place in my heart." That desire to serve was something our entire team carried, and the results of that feeling showed. In two weeks of clinics, our team examined 403 patients and gave 208 audiograms. The team also performed 200 clinic procedures and 82 surgeries, and it dispensed 62 hearing aids. Procedures included operations such as ear canal tube inserts, thyroidectomies, polypectomies, tymponplasties, mastoidectomies, and cleft lip repairs. These impressive figures—each of them representative of a life changed in some small or great way—are the result of the ENT team's hard work. We'd like to introduce them. The group was led by Charles Stewart III, MD, who was joined by ENT surgeons Tal Dagan, MD and Thomas Stewart, Sr. MD. Brad Tym, MD served as anesthesiologist, and Grace Kim, MD as resident ENT. Ronald Thompson, Au.D. was the audiologist. Claudia Gordon was the surgical tech; Debora Yoder, RN was the operating nurse; and Ronald "Jack" Roberts, RN was the recovery nurse. Kenya Wright and Estelle Tym were jacks-of-all-trades, working jobs ranging from hospital runner to social media campaigner. Canvasback co-founder and Executive Vice President Jacque Spence organized the mission. Can you name everyone in this photo? Each of our team members are important, and for each of them, people were a favorite interview topic. Dr. Dagan said, "Doing what I do on this trip is personally rewarding, knowing there is no personal gain other than the satisfaction on the patients' or families' faces." This is because giving to and working with others produces some of the most honest interactions—smiles, laughs, gratitudes—that so easily transcend the borders of language or nationality. And while the majority of these moments are fleeting, rarely being captured on camera or other devices, their very ephemerality gives them a candor and quality that make them special. These moments are intimate, reserved for only the people present, hidden from the digital profusion of our age. Overwhelmingly, the team's most poignant memories were reuniting children with their mothers after the long and tiring cleft palate and lip repairs. 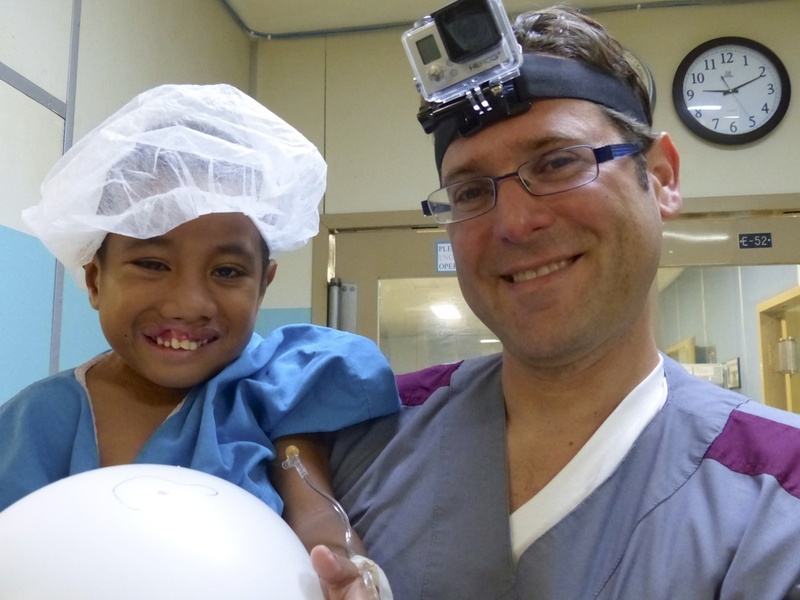 Dr. Dagan, who performed these surgeries, said, "One moment that stood out to me was when the mother of a cleft palate repair child shed a tear, even despite the Marshallese nature of hiding emotions." "Here comes the patient, lip repaired," said Dr. Tym, who, like Dr. Thompson, served with Canvasback 14 years ago in Yap. "When the mom sees that, her face completely changes." Before/after shots of one of the cleft lip patients. Claudia, who served with Canvasback for the first time and made sure surgeries were prepared and ran smoothly in Majuro, said, "The parents of the cleft palate children—they'd have tears in their eyes. The surgeries profoundly affected their child's lives." We've been working in the Micronesian islands for over 30 years, and it never gets old. That is why we keep returning. That is why so many of our volunteers invite others to joint them on second, third, fifth trips. This was Jack Roberts' first trip with Canvasback, and he worked tirelessly tending post-op patients. He said what those who climb mountains, run marathons, and work for the good of others have often said: "It was difficult, but rewarding." This is true of all great things, and we believe our teams do great things. Admittedly, we're somewhat proud of the rigors our teams face. It means they're working hard. They continue to inspire us with the bravery and skill they summon to conquer the weariness, operating from morning until evening and still having the joy to laugh and play afterward. And speaking of play, we find time for that, too. Moments of calm and comfort include our air-conditioned Wellness Center, where our award-winning kitchen staff make vegan food that has even the meat-lovers coming back for thirds. There are also, of course, the natural wonders of the Northern Pacific: powder blue ocean, white beaches, and fishing, diving, and snorkeling excursions with newfound friends. Claudia managed to sum up the trip in a mere dozen words. "It was great. It was exhausting. We worked hard. We played hard." We are thankful for each of our volunteers, who fought for space in their calendars, orchestrated their private practices' operations ahead of time, and freely gave their vacation time, services, money, and supplies to make this happen. 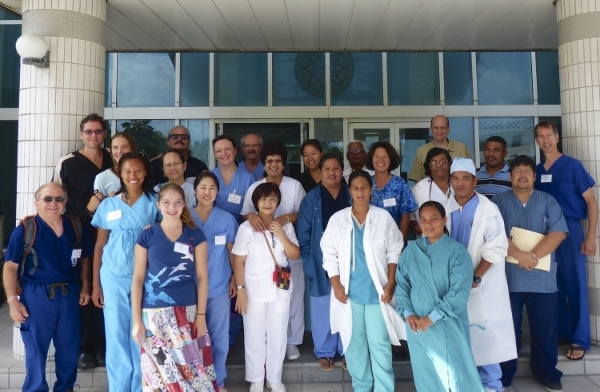 The Majuro Hospital staff and Ministry of Health were essential to the mission. Without their dedication and hard work, we couldn't have done nearly as much. Lastly, it's important to note that we wouldn't have been able to help so many people hear again if it weren't for the generous donations of hearing aids from Siemens Hearing Instruments, Inc., Phonak, GN Resound, and Unitron Hearing. Dr. Thompson's private practice, Thompson Audiology & Hearing Aid Center, also donated hearing aids. Starkey Hearing Foundation has graciously offered to donate additional hearing aids for those we examined and fitted, since we distributed our entire stock on the trip. From Dagan MD | NYC, his practice in New York, Dr. Dagan continues to help a Marshallese boy whose face was damaged in an electrical accident. Next mission: dental and ophthalmic in Ebeye! Interested in making a difference? Visit our volunteer and donation pages!